The comfort zone is the range in which the human body is neither too hot nor too cold. When winter approaches and the cold threatens our body, it reacts by expending energy in order to always maintain a comfortable temperature. In hot environments, sweat can lower body temperature. This is called thermoregulation. 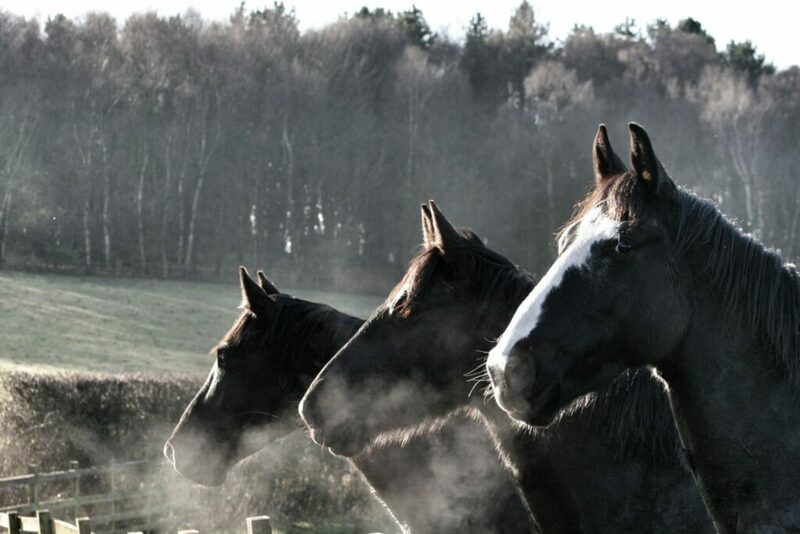 The thermoregulation of horses is radically different from that of humans. Indeed, in humans, the comfort zone is very small in range and is around 25 degrees*, while that of the horse ranges between 5 degrees and 25 degrees on average (though it does depend on the environment). If a horse lives outdoors, is not clipped and does not do intense or regular work then it will adapt naturally to the seasons. In Autumn its coat will grow to allow it to adapt to the oncoming winter. By allowing the horse to adapt to the changing seasons in the UK or indeed most countries in the world, it is capable of looking after itself naturally and does not need human intervention to keep warm. However, with the breeding of sports horses, their physical condition has also changed and so too in the way they thermo-regulate themselves. The Equine athlete, working regularly with intense training sessions, no longer has the same way of protecting itself from cold or heat and this places them outside their comfort zone. It is therefore important to have the most objective view possible, to keep them within the boundaries of their individual comfort zones. If a competition horse is not clipped, its physical exercise will generate too much body heat which will tend to upset its thermoregulation. This is why horses are clipped and rugged in winter, in order to help the horse manage its thermoregulation, which is dependent on its physical condition and the temperatures outside. So, when we change a horse’s environment, the choice of how we rug them must be adjusted too (to learn more about how to rug your horse in winter, click https://www.arioneo.com/en/autumn-david-marlin-scientific-equine-advice-rug-horse/). The Orscana sensor is used in the daily life of a horse. 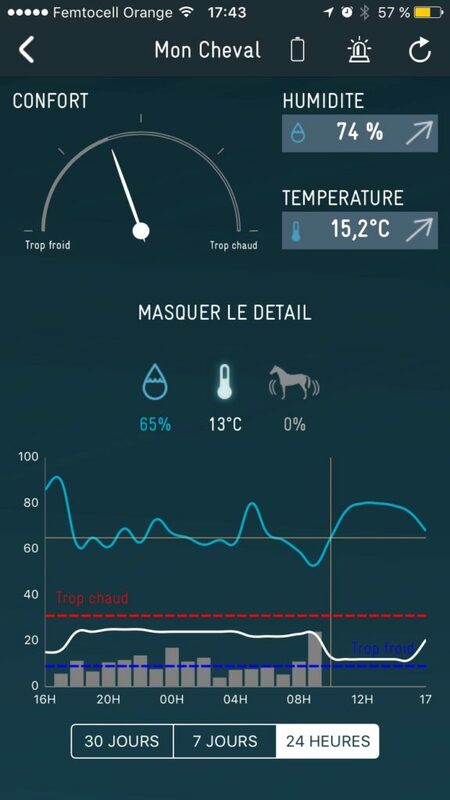 Due to the measurement of the temperature under the horse’s rug, it is very easy to precisely monitor the temperature.In this way it is very simple to change rugs dependent on the weather and the horse’s own metabolic rate. The comfort zone of the Orscana App has been established using parameters specific to each horse: Breed, Coat, Physical condition, Age, etc. 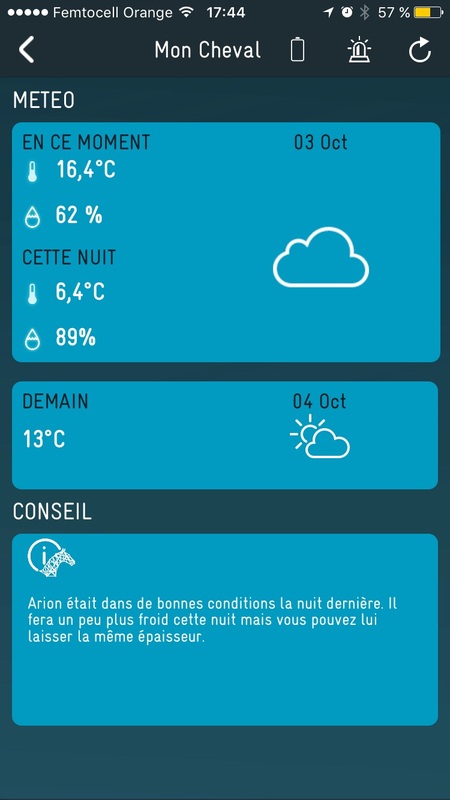 Once all the specific date for your horse has been recorded, with our interpretative algorithms in combination with the weather forecasts, advice is provided on the comfort of your horse. This includes providing you with information as to whether a change of rugs is required for the oncoming night.